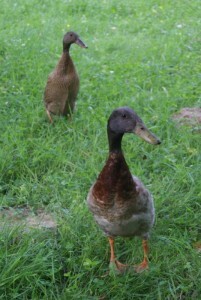 Every evening we have to put the running ducks in their coop. Last night it was Naomis turn. 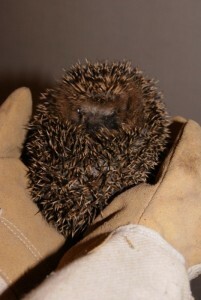 When she came back to the hallway, this little hedgehog sat on the boot scraper. 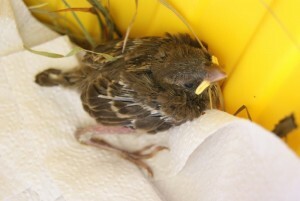 After a stormy night this little sparrow was fallen out of the nest, and friends of us found him. But for this weekend he will be our visitor, because they are going on a short trip. Each hour he wants to eat, and then we are feed him with the help of a pincette. 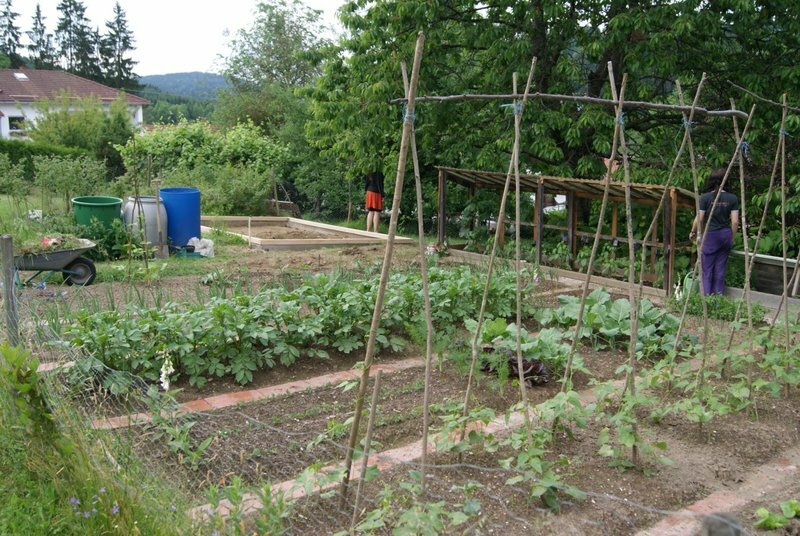 This is our vegetable garden, here I raise many different vegetables: Potatoes, tomatoes, onions, carrots, beans, chili peppers, cucumbers, zucchinis, leek, pumpkin, fennel, herbage and who knows what else. 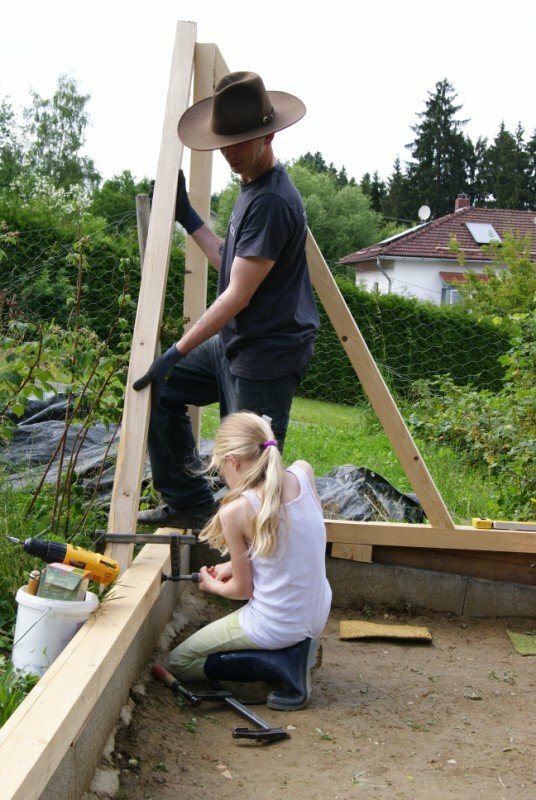 Behind you can see the begin of my new tomatoe house…..oh, just one moment please, two pickpockets are steal my best cherries! Away with you! 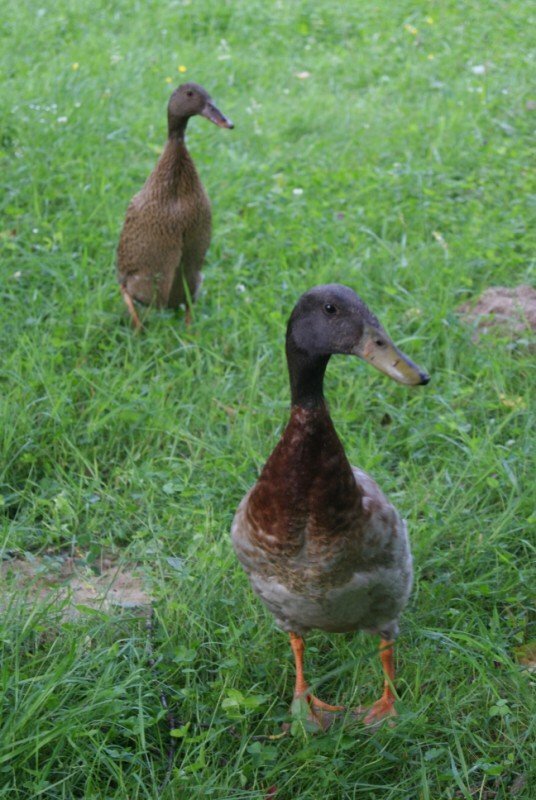 This are two other garden dwellers, our running ducks. They are so funny, and they help to clean the garden from slugs. The tomato house grows….what a strong little girl! 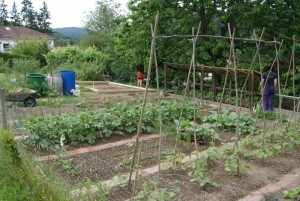 Can’t wait till it is finished, the tomato plants are waiting to be plant. 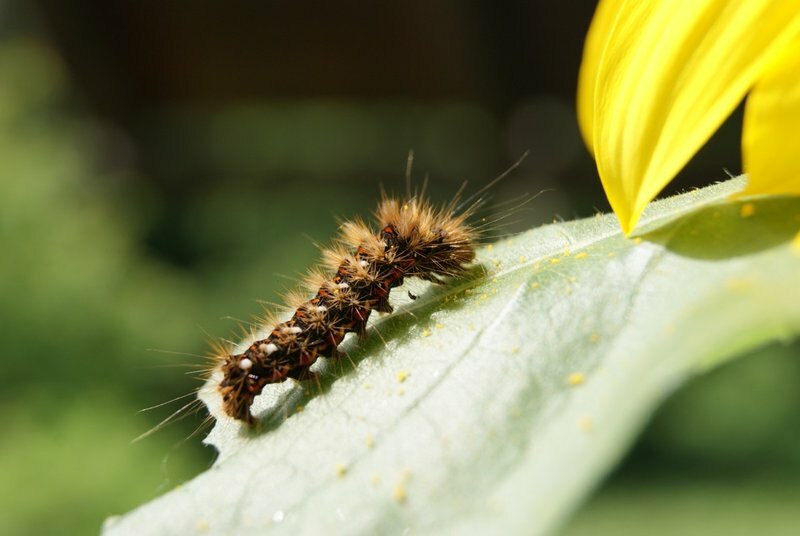 This little butterfly caterpillar lives on our potted sunflower. We are watching her since she was hatched. She eat up some of the sunflower leaves, but it doesn’t matter, the sun flowers is larg.